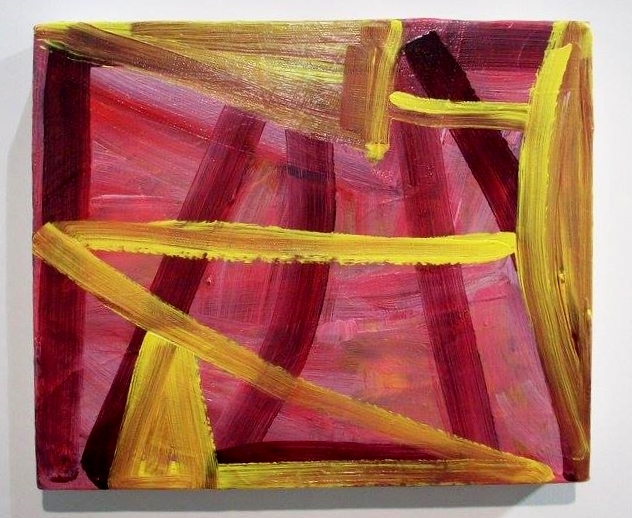 Saturday 11 April is your last chance to see the exhibition Contemporary British Abstraction at SE9 Container Gallery. showing 35 small(ish) paintings by the following artists:David Ainley, Ralph Anderson, Dominic Beattie, Chris Baker,Andrew Bick, Katrina Blannin, Claudia Boese, Julian Brown, EC, Ben Cove, Clem Crosby, Pen Dalton, Lisa Denyer, Andrew Graves, Terry Greene, Susan Gunn, Alexis Harding, Sue Kennington, Sarah R Key,Phoebe Mitchell, Matthew Macaulay, Ellie MacGarry, Katrin Mäurich, Sarah McNulty, Mali Morris, Andrew Parkinson, Aimee Parrott, Marion Piper, Clare Price, Geoffrey Rigden, Gwennan Thomas, Trevor Sutton, David Webb, Mary Webb and Gary Wragg. Click here to read my review of it at Constructed Realities.